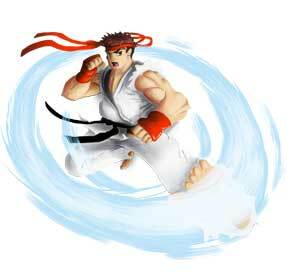 Ryu the main protagonist of Street Fighter I, now returns once again in Street Fighter II. He is more or less the game’s and now series’ official mascot and is featured on many of the covers of the Street Fighter games. Having returned to the World Warrior’s Tournament after Street Fighter I, Ryu is still seeking what it means to be a true warrior. The darkness he felt previously from his victory over Sagat constantly haunts him as he tries not to give into the Dark Hado. But opposing forces out there see Ryu’s untapped potential as the most powerful fighter alive; most notably Akuma who makes an appearance at the end of Street Fighter II: The New Challengers under certain conditions. That one quote pretty much sums up who Ryu is; a soft-spoken but noble warrior who believes a warrior’s true reward is in the fight itself. 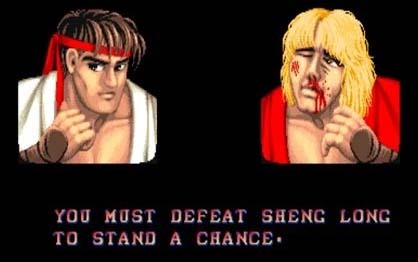 But perhaps his most memorable quote was his win quote “You must defeat Shenlong to stand a chance!” It was a mistranslation of “You must defeat my Dragon Punch to stand a chance”, and as a result many speculated for years that Shenlong was the name of Ryu’s master. 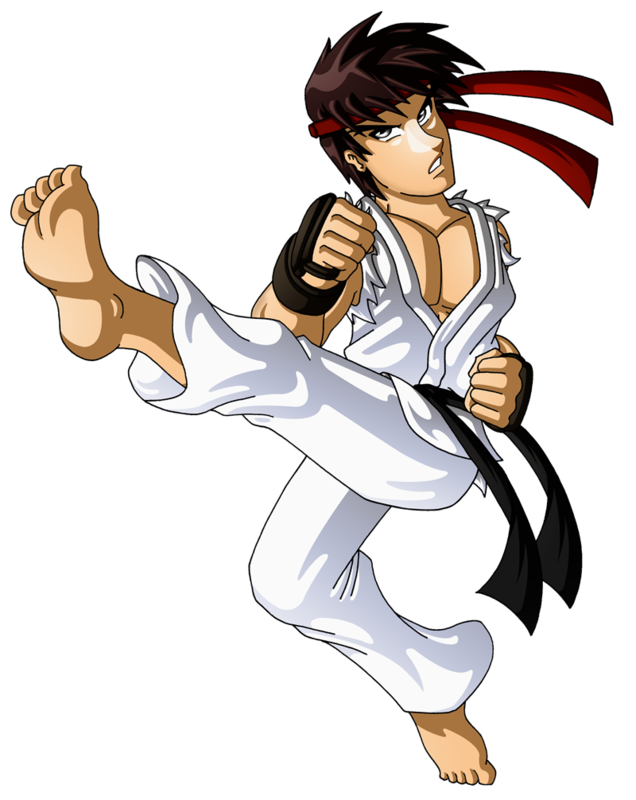 In reality, Ryu’s master is Gouken, the brother of Akuma who taught Ryu the more gentle less murderous side of his fighting technique. 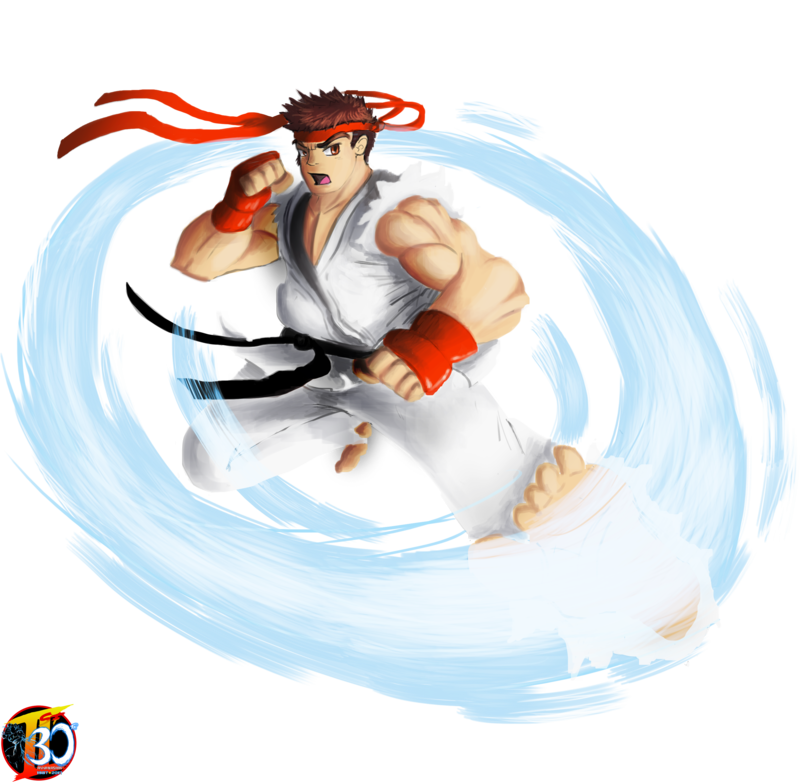 These techniques consisted of the moves previous from the first Street Fighter; most notably Ryu’s ‘Hadouken’ fireball move. Ryu has also become notably more buffer and more mature looking from his previous red-headed slipper-wearing Street Fighter I design. And since Street Fighter II, his new design remained constant throughout the series with very little alterations added to them. 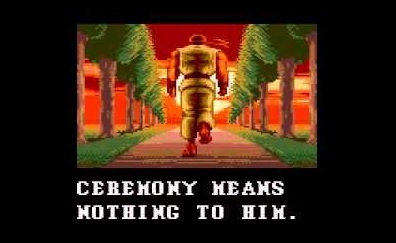 Even when he was in many crossover games fighting the likes of Marvel super heroes/villains and other Capcom foes; he still maintains the same white karate gi and barefoot lifestyle that now has made him both a poster boy for Capcom and an overall video game icon. 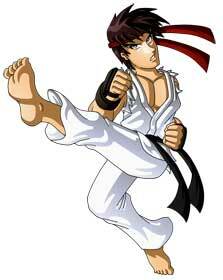 From Street Fighter II and beyond, there would be no Street Fighter or Capcom crossover game unless Ryu was in it. His lasting impression on fighting games and video games in general cannot be denied. XJKenny is an artist who has gained quite an audience with his appealing artwork, most particularly his artwork of very attractive women. His take on Ryu is a break from the norm of what he does. But him bringing his own style and take on the Wandering Warrior is welcomed and gives Ryu a very anime look as he performs his Tatsumaki Senpukyaku. Be sure to visit his DA page! Alfred “Modernerd” Manzano from the USA is a dedicated fighting game player since many years and participated in multiple of our art collaborations already. He drew Marshall Law for our Tekken 2 Tribute back in 2012 and also the probably most detailed illustration ever for Mokap from Mortal Kombat Deadly Alliance when we did a project similar to our Street Fighter one for the MK series between 2011-2013. His take on Ryu from Street Fighter II is actually his second Ryu for the 30th Anniversary of Street Fighter Project and he plans to illustrate Ryu from the other SF games as well for it! He is a Freelance Digital Artist residing in the Bay Area, CA. and can be contacted through dA, FB and Pinterest among other channels.